Win a $200 Amazon Gift Card courtesy of WeddingVibeHoneymoons.com (#1 Sandals Travel Agency in the USA). 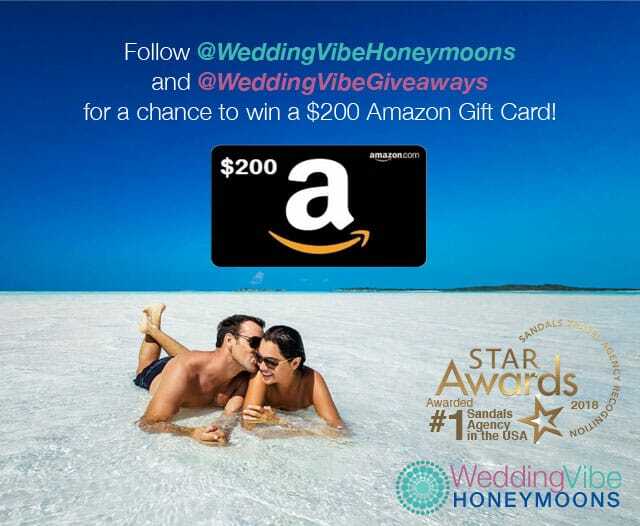 Follow @WeddingVibeHoneymoons and @WeddingVibeGiveaways for your chance to win a $200 Amazon Gift Card. Winner to be announced December 13th, 2018.